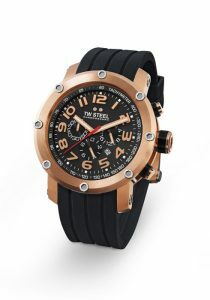 Amsterdam, The Netherlands (March 18, 2010) – TW Steel, the Dutch watch brand ‘Big in Oversized Watches,’ launches its latest TECH executions at BASELWORLD 2010 today. On display for the first time, the collection consists of seven new models, available in either 45 mm or 48 mm editions, with the styling founded on the popularity of the now sold-out special edition TW Steel A1GP TECH watches. 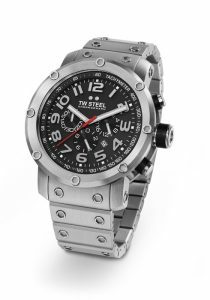 Responding to consumer demand to build on that design platform, the seven new TECH models comprise a stylish blend of rugged looks with a high-end finish – all watches, of course, featuring top grade stainless steel and a unique construction that connects the bezel to the case back by using pillars and engine screws. 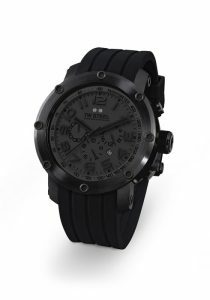 Notable stand-outs include the TW128 (45 mm) and TW129 (48 mm), which take their inspiration from TW Steel’s successful Canteen Style ‘Cool Black’ editions, featuring a greyer dial and in keeping with the ‘dark’ trend prevalent in current consumer taste. In addition, the TW126 (45 mm) and TW127 (48 mm) both feature a sleek black dial offset against a stainless steel case and steel bracelet and folding clasp. The 2010 TECH models all sport a chronograph function with an OS25 movement, accurate to 1/20th of a second. All watches feature soft rubber straps with an anti-dust protection layer, with the exception of the aforementioned TW126 and TW127 with the steel bracelet. All the crystals feature a sapphire layer. The TW130 / TW131 / TW132 / TW133 editions utilize AA-grade rose gold plating on the cases while the TW128 and TW129 feature AA-grade PVD black coating for a distinguished finish. Finally all new TECH watches are waterproof to a depth of 100 meters. 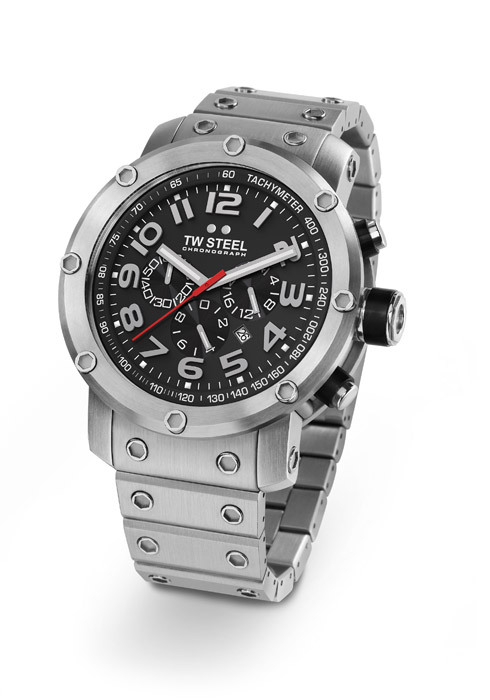 TW Steel, the name meaning ‘The Watch in Steel’, can be found at BASELWORLD2010 in Hall 1.1, ‘Hall of Desires’ – Stand No. A71.